Couture Historique: Dance Light Pictures! 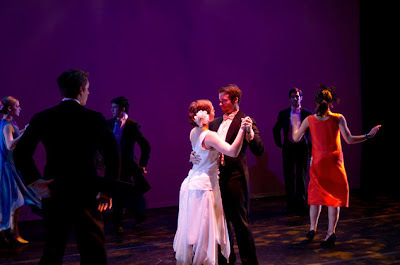 Finally, here are a few pictures to show you from the Dance Light performance that I designed costumes for. Eventually I'll post some more pictures, but here are a few to wet your appetite. The dance was performed to "Anyone Can Cook" by Michael Giacchino from the movie 'Ratatouille'. You can listen to it HERE. Photos by Bart Cortright are posted HERE - see photos 9441 to 9505 to see pictures from the dance piece that I designed and made costumes for. You can scroll through some of the other performances, too. The one right after mine, entitled 'Mom Jeans' was hilarious!